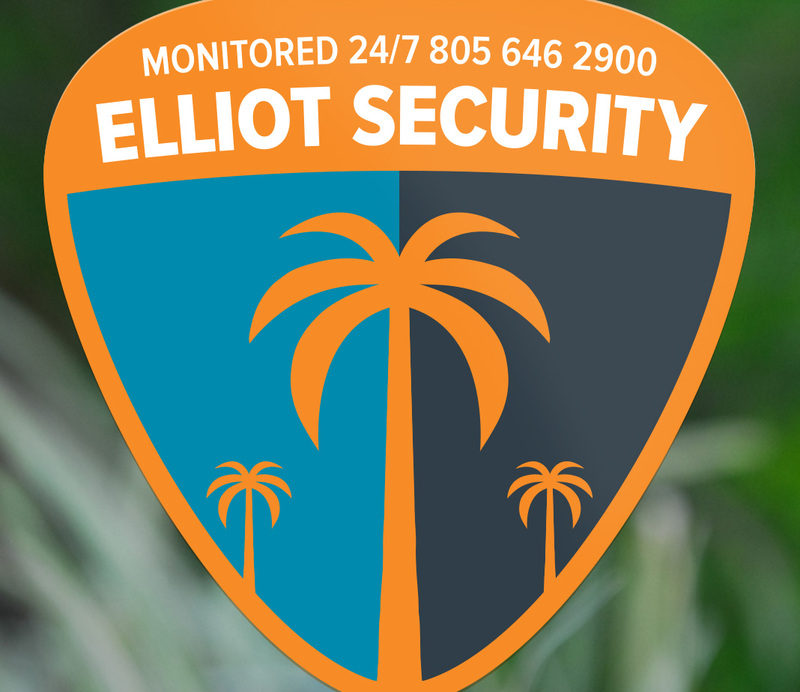 Elliot Security, formerly known as Ojai Alarm, is a locally owned and operated security company. The geographical tie in their previous name had caused confusion as to which cities they operate in. After renaming the company they needed a new logo for use on their website, yard signs, stickers, and other materials, that better reflected the Southern California communities they service. The logo needed to maintain their existing orange color. I used simple, symmetrical imagery to evoke a sense of strength and avoid the cliches of typical security signs. The white type on the orange background is highly visible. The logo reproduces well at all sizes and in different color palettes.